Adorable wedding pictures are every bride’s dream. After the hustle and bustle of the wedding, these pictures let you reminisce about the special day! Especially if they are pictures of your family and loved ones, they are all the more memorable! Weddings are an emotional time for the siblings of the bride. No more living under the same roof; their journey as siblings takes a new turn as the bride moves out. In the midst of this emotional ride, cute wedding pictures that make you smile are indeed a respite! So, if you are getting married soon or if you have a sister who is about to get married, then don’t forget to try these cute poses for the wedding album! You must have seen loads of adorable pictures of the bride with the groom, but have you ever seen adorable wedding pictures of brides with their siblings? Here’s a few of them! Nothing more adorable than these goofy siblings posing for the camera. So, if you are one of those fun-loving siblings who enjoying mocking each other, then take your place in front of the camera and show your true sibling spirit! These sweet pictures of brides with her two, loving brothers make the perfect wedding pictures. Nothing screams adorable louder than getting affectionate with your siblings with hugs and kisses, especially if the bride’s siblings are elder brothers! A brother and a sister is a deadly combination. This adorable picture of the bride being driven around by her brother is the happiest wedding picture and is sure to make you “aww”! Having sisters as siblings has its own benefits. You can always steal clothes from each other when you are bored of your own closet, you can share accessories, and what not. Also, having sisters means taking these mandatory dressed-up wedding pictures! Those in-the-moment wedding pictures of brides with their siblings are the best kind. They show how genuinely happy they are to have each other, and they are sure to melt your heart! Siblings always have your back, no matter what. This adorable picture of the bride being helped by her sister shows the true spirit of sisterhood and therefore earns its ideal place in the wedding album! 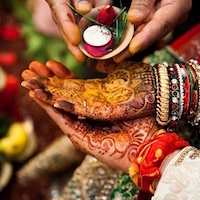 A wedding is a special day in every bride’s life. 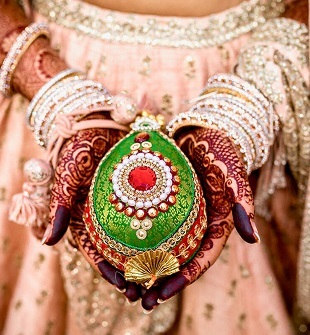 It’s only fair to put her in the limelight, even in the wedding pictures! This adorable picture of the bride with her brothers does just that. This cute picture of brothers carrying out their brotherly duties on their sister’s wedding day is one which ought to melt hearts. Nothing more adorable than protective elder brothers taking the lead! If you have the quirkiness of these sisters, then grab some shades and pose for the camera! 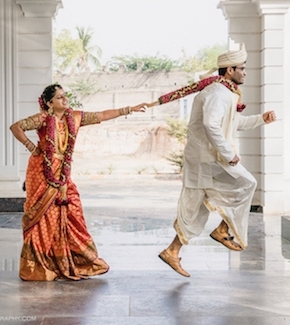 This wedding picture of siblings is the perfect combination of adorable and fun. Got a lot of brothers and is pampered by all? Then you will probably find this picture very relatable. Wedding clicks are all about memories and this picture makes one hell of a memory worth reminiscing. Younger brothers can be very annoying, especially if he is your only sibling. But they are also the most fun ones! This candid click of the bride with her younger brother being his usual naughty self is definitely one of the most adorable wedding pictures. These adorable wedding pictures of brides with their brothers and sisters will melt your heart with their goofy and fun vibes! Don’t forget to remake them at your sister’s wedding!